I will be visiting Tbilisi in July and want to visit the monestaries of northern Armenia. All of the tour groups do not have enough folks to do the tour, so my only option is to pay through the nose for a single person tour. I hope to just take public transport. Your info has been very helpful. I do not speak Russian, Georgian or Armenian. Do you think this will be a problem? 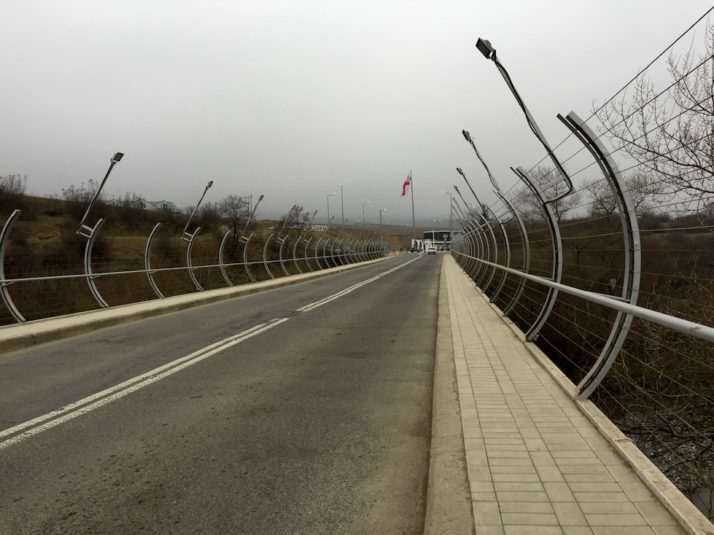 Not sure if I can find a simple ride just to the border from Tbilisi, walk across it then find a taxi to Alaverdi. Pretty sure I can make it to the border. 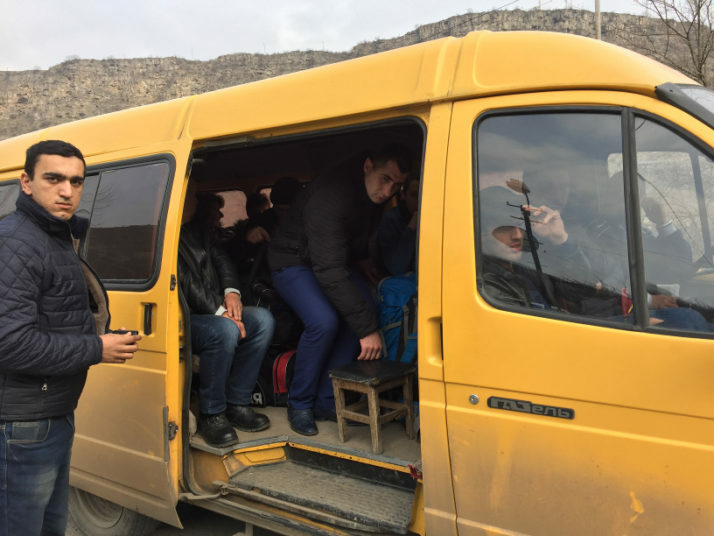 Not sure of the cost of taxi from the border to Alaverdi or how often they might be available. Thanks again for your info. If you’re intending to make it a day trip, ask at your accommodation (or any hostel / backpackers) in Tbilisi for the time of the first marshrutka from the western bus station / Samgori metro to the border and there’ll be an Armenian marshrutka on the other side waiting for you – I’d recommend getting the Armenian marshrutka to Alaverdi then picking up a taxi to see the monasteries from there – it’ll be a lot cheaper than a taxi from the border – even more so if you can find some other like-minded travellers to join you and share the cost of the sightseeing taxi from Alaverdi! I’d recommend this because Sanahin, Haghpat and Akhtala Church aren’t too far from Alaverdi though they’d be difficult to see by public transport from Tbilisi in a day (there aren’t any busses between the sights, just to and from Alaverdi), and if you’re a canny haggler you might be able to get your taxi driver to include a drop off back at the border as well then hopefully pick up the returning marshrutka! Getting a taxi to the border if there aren’t any marshrutkas won’t be a problem as there will be at least one waiting, and for reference the drivers were asking for 4x-6x the marshrutka price (i.e. Alaverdi < -> border = 2,000 – 3,000 Dram). Similar prices were quoted for the Georgian border taxi (~20 – 25 Lari). As I understand it this main road is closed at the moment? We did the crossing in March 2017 and the border was open then. I believe the main road between Yerevan (actually Vanadzor) and Alaverdi is closed at the moment for upgrading works (maybe tunnels?). 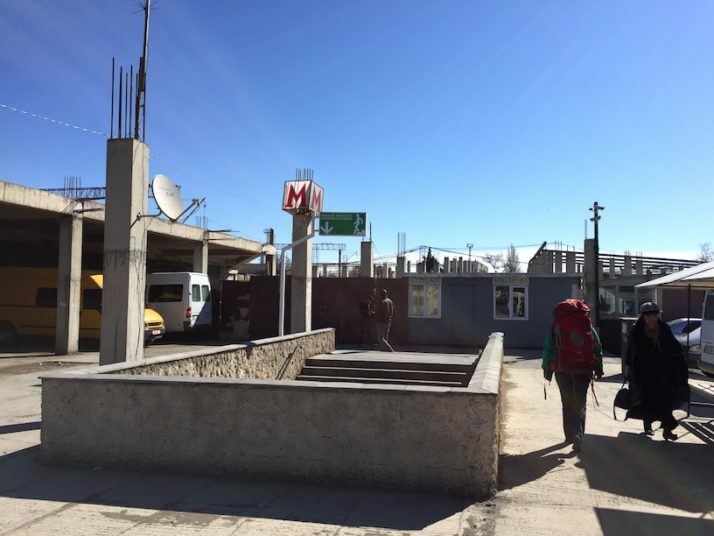 But it is still possible to travel between the two – we took a marshrutka from Gyumri to Vanadzor and changed there for one to Alaverdi and it took the road via Stepanavan. hi andrew I’ll arrive at Tblisi on 22 August 2018 until on 31 . in your opinion it is possible to arrive from tblisi to alaverdi by train? 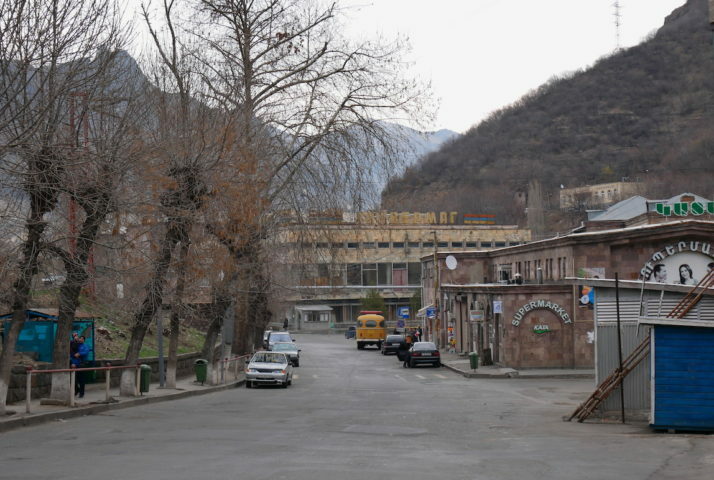 i’m going to reserve two nights in Alaverdi to visit its surroundings. Another question: to take a taxi or a marshrutka form the borders the drivers accept only your money or it needs to get before lari money? Ciao Marino, it looks like there’s a train from Tbilisi to Sadahklo near the border with Armenia, and I’m sure there’ll be marshrutka’s and taxis from the station to the border, and from the border to Alaverdi. As for the money, I seem to recall they took either currency but with a commission – so it is cheaper to pay with the local money. There are ATMs on either side of the border, but we just asked the Georgian marshrutka driver ‘ATM?’ on the way into Tbilisi and he stopped at one en-route for us. Good luck! In 2016 I made the opposite trip, that is to say, from Tbilisi to Alaverdi. I travelled by minibus from Tbilisi Station Square to Marneuli [09:30 – 10:00, 2.5 GEL]. Then I took a shared taxi to Shadakhlo [about 20 minutes, 2.5 GEL]. After passing the border, I have decided to take a taxi to Alaverdi. Sounds like it was just as straightforward as ours, thanks António! What is 24 + 31 ?